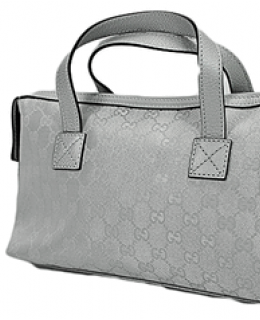 Gucci Designer Purses in the classic Boston bag style. An updated classic in metallic silver canvas with GG logos and metallic silver leather. Features GG logo jacquard canvas, silver-tone hardware, protective stud feet, and fully lined in black cotton fabric. Made in Italy.